IMC Ladies' Wing invites you for the screening of the film - Still Alice. Still Alice is a 2014 American independent drama film written and directed by Richard Glatzer and Wash Westmoreland and based on Lisa Genova's bestselling 2007 novel of the same name. The film stars Julianne Moore, Alec Baldwin, Kristen Stewart, Kate Bosworth and Hunter Parrish. Elevated by a gripping performance from Julianne Moore, Still Alice is a heartfelt drama that honors its delicate themes with bravery and sensitivity. For her performance as Alice Howland, Julianne Moore won an Academy Award, BAFTA Award, Golden Globe Award and many more. Members interested in watching the movie, kindly register at the IMC Ladies' Wing Office at the earliest. Sexual harassment at workplace is a universal problem whether it is a developed nation or a developing nation or an underdeveloped nation. Sexual harassment has been identified as a term which is difficult to define as it involves a range of behaviour. And therefore efforts have been made at both national and international levels to define this term effectively. On 20th November 2018 a closed door Round Table meeting was organised by the Legal Committee of Ladies Wing of IMC, where highly qualified people and experts in their own fields got together and discussed the pros and cons of the recent law on protection of women from sexual harassment. There was an explosion of ideas and sharing of valuable experiences which were too good to keep behind closed doors! The Legal Committee of the Ladies Wing is therefore happy to announce a follow up session open for all where Mr. Rafiq Dada (Senior Counsel, Bombay High Court) as our Chief Guest will enlighten us on the background, nuances and benefits of the Sexual Harassment at the Workplace (Prohibition, Protection and Redressal) Act 2013, and a Panel of experts will discuss the pitfalls and road ahead and share their deep understanding of this subject with everyone. A senior journalist is also invited to add her knowledge and experience to the brainstorming session! Join us to know more about prohibitory and redressal measures and the directives incuded in the law!!! National security management has become extremely complex with several factors like migration, globalization, climate change, infrastructural inadequacy and other non-traditional security issues. Simultaneously traditional security institutions have been weakened by core sectors like communication, financial or business sectors going out of their control through globalization. All countries have tried to meet this challenge by reforming their security institutions which also includes public and corporate participation in security. This has however never been implemented in India except in a superficial manner. Mr. Vappala Balachandran I.P.S (retired) will address us on how internal safety of citizens can be improved and how all of us can play a key role in management of internal security. Mr. Vappala Balachandran I.P.S (retired) is a columnist, author and security specialist who retired as Special Secretary, Cabinet Secretariat, Government of India. He was a member of the 2 man “High Level Committee” (known as “Pradhan Committee”) to enquire into the efficacy of police response during the Mumbai November 26, 2008 terror attacks. In 2010 “National Geographic” recorded his long interview for their 1 hour film “Mumbai Massacre” based on this attack as part of their “Seconds to Disaster” series. Women have always played an important part in the workforce. But there has been a significant shift – arguably a revolution – in the range of employment options that are now open to women, and in the critical positions women now occupy in many fields. Women not only have proven their capability of competing with men on equal footing at work, but also have also successfully struck a balance between personal and work life. Balancing work and private life is not an easy task for working women. Often, they are forced to choose between the pursuit of a potentially good career, which would mean either giving up on bearing children in the hope of, at best, attaining a position on a board of directors - something which is very unlikely – or alternatively settling down to have a family, thereby accepting that the only option open to them will be an average job whilst they try to juggle work and family life. IMC Ladies’ Wing invites you for the panel discussion with renowned professionals, who not only managed to strike a good balance in their work and personal lives, but also broke the glass ceiling in their respective fields of work. Join us for the interactive panel discussion to know more about work life balance!!! IMC Ladies’ Wing invites you for an interactive session with renowned artist Mr. Ajay De who will discuss the significance of charcoal painting. Born in Kolkata 1976, Ajay De studied art in Kolkata & Mumbai. His charcoal works has a stunning effect due to the sheer magic of the medium and his control over the unusual techniques employed, involving the delicate use of fingers, thumb and even the palms. His solo exhibitions have been held at various galleries in India and abroad. The event will be curated and organized by Ms. Shashi Jalan, an art curator and Founder of the gallery “The Art Address”. She has been in this field from 2004. Her main forte is to promote upcoming artists and give them a platform to showcase their works. Don’t miss the Magic Interactive Session with Mr. Ajay De. Get surprised by his magic!!! IMC Ladies’ Wing cordially invites you to IMPACT 2019, an event to celebrate and honour every facet of womanhood in the most contemporary and relevant way. IMPACT endeavours to bring together people diverse in experience and background. The theme for IMPACT 2019 is “Women Impacting Women”. Come and get inspired by renowned speakers, applaud women achievers, enjoy, dance or tap your feet to an entertaining Odissi Bollywood fusion dance performance. Ms. Brinda Miller – Director, Studio Millernium Pvt Ltd.
Entertainment Programme – Scintillating Odissi Bollywood fusion dance performance by Ms. Jhelum Paranjape and her troupe. Since Bollywood's earliest days, women have played a part in its success, both in front of the camera and away from it. Yet it has taken more than half a century for women to assert their presence in significant numbers in Bollywood. Today, Hindi cinema relies on a record number of women who work tirelessly, sometimes invisibly, to keep the world's largest dream factory buzzing. Many women with no prior connections in the industry have carved successful careers despite significant challenges. They work behind the scenes and have cut through the ranks of the traditionally male-dominated field of Hindi cinema to establish themselves and sometimes are the leaders of their craft. You have most likely seen their work but don’t know it. And do you probably don’t know their names. Yet these individuals are helping to improve India's gender equality movement within the Hindi film industry. To know more about their journey and transformation in Bollywood, Gayatri Rangachari Shah co-author of the book Changemakers : 20 Women Transforming Bollywood Behind the Scenes will join us for a panel discussion along with Amrita Pandey, Regional Head – Media Distribution & OTT, South Asia for The Walt Disney Company, Rohini Iyer, Renowned Celebrity Manager and Deepa Bhatia, well-known Film Editor. Join us to know how women add up to the glitterati of one of the biggest entertainment industries in the world – Bollywood!!! International Women’s day is many things – a cause for celebration, a reason to pause and re-evaluate, a remembrance, and an inspiration. On the occasion of International Women’s Day Celebration, the IMC Ladies’ Wing invites you for a visual cinematic treat. It will be an evening echoing the spirit and victory of womanhood. Adorn yourself in your best attire in shocking pink or purple to boost further the celebratory mood of the day. IMC Ladies’ Wing invites you for the event “Reinventing Your Business in the Digital Age”. You can’t play a new game with old rules. Love it or not, everyone has to learn the new Rules to play the new game. To embrace opportunities as they present themselves and to be prepared for threats...!! With newer developments in technology the game called business has been completely revamped. There are newer, better, more efficient and faster ways of doing business. Your business can be taken to Global levels in no time. There are opportunities like never before; however, if they are not taken advantage of, businesses may lose their existence itself. Businesses need new blood of technology to survive and flourish. IMC Ladies' Wing brings to you a discussion on the critical issue of how businesses can scale up with technology and how they need to change /adapt themselves in the new Digital Age. We have a panel of renowned professionals and industry experts to discuss the topic of the changing landscape of regulatory framework in Digital economy, making friends with alien concepts like artificial intelligence, Blockchain, Fintech and putting them to use and more. Businesses need to take stock of the change brought in by the Digital Age or they will vanish. There is no escape from this truth. Splendid and elegant, the sari is undoubtedly the most important cultural symbol of India. This garment has been in existence for millennia, with evidence of its presence going back to the very beginning of the Indian civilization. The book ‘Saris – Splendour in Threads’ authored by Ms. Soha Parekh, depicts the journey of this unstitched garment from ancient times through successive lines of royals to modern India. It dwells into the unparalleled skills of master weavers and craftsmen and the unmatched beauty of various saris across the length and breadth of India. The book is the result of her passion for Indian traditions and culture and her research done extensively across India while interacting with the various weavers and craftsmen. Ms. Soha Parekh will take you on a journey of various saris across the major states of India. Members are requested to adorn theselves with their beautiful weaved sari to resonate with the theme of the event and also to know more about the weaves they are wearing. The best three weaves will stand a chance to win prizes. IMC Ladies' Wing invites you for the Special Screening of the documentary "The Speaking Hand", the only full-length documentary that charts the incredible journey of the Tabla Maestro Ustad Zakir Hussain. The son of tabla legend Ustad Alla Rakha, Ustad Zakir Hussain began his performing career as a child prodigy. Later, through path-breaking experiments, he dramatically enlarged the scope of his chosen instrument. Today he is celebrated internationally as a composer and a star performer. The Speaking Hand charts Zakir’s growth from the by-lanes of Bombay to his current fame as a world musician. In the course of this exciting history we experience first-hand the unforgettable magic of his fingers. We see him perform with the many legends of the Indian classical world. We hear him explain the intricacies of the table and we get rare glimpses of the Planet Drum tour that brought together master drummers of the world in a breath- taking celebration of world rhythms. The screening will be graced by the Director of the documentary – Mr. Sumantra Ghosal, who will share his experiences and insights while making the film. IMC Ladies' Wing invites you for the screening of the film - Julie & Julia. Julie & Julia is a 2009 American comedy-drama film written and directed by Nora Ephron starring Meryl Streep, Amy Adams, Stanley Tucci, and Chris Messina. 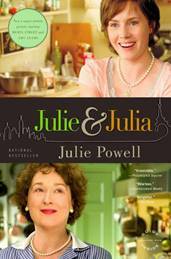 The film contrasts the life of chef Julia Child in the early years of her culinary career with the life of young New Yorker Julie Powell, who aspires to cook all 524 recipes in Child's cookbook in 365 days, a challenge she described on her popular blog that made her a published author. IMC Ladies’ Wing invites you for an engaging session on Business etiquette by Ms. Sabira Merchant. Business etiquette is a valuable skill-set that will make you stand out from others, enhance your chances at success and help you land that dream job. It is all about conveying the right image and behaving in an appropriate way, while conducting yourself in your business or career. Etiquette is a set of unwritten rules that apply to social situations, professional workplaces and relationships. Business deals can be won or lost; job interviews can succeed or fail all because of not following the right etiquette. Ms. Merchant will give you the necessary skill set for the right etiquette in business situations. A session with this renowned lady of manners will help give you an. edge. Ms. Merchant is a renowned Business etiquette trainer. She is responsible for training FEMINA MISS INDIAS for the local as well as international competitions and her famous students being the representatives of our country for the Miss India, Miss Universe, Miss Asia Pacific and Mr. International Contest. Amongst Corporate & Business Houses, she has worked with and held sessions for the Taj Group of Hotels, the Jindal Corp, Oracle, Kingfisher Airlines, Owens Corning for their Top Managerial Staff, Franklin Templeton Investments, Novartis, PowerGrid etc. Best-selling author and motivational speaker, Ms. Sudha Menon, will be in conversation with journalist Ms. Saumya Roy about her journey from being a journalist to the author of five non-fiction books including her latest, Feisty At Fifty. The conversation will dwell on why she wrote Legacy: Letters to daughters from eminent men and women and Devi, Devi or She Devil, a book about the lives of career women, the challenges they face, the labels they gather and the survival tips they have fashioned for themselves as they take on their multiple roles in life. Ms. Menon will also talk about reinventing herself after over 2 decades as a journalist with prominent publications including The Independent, The Hindu Business Line and Mint and the many rewards that came her away when she took the risk to do that. In addition, to making the switch to being full time author, she has founded writing workshop series Get Writing and Writing with Women, to give impetus to the writing aspirations of those who want to write but don't know how to begin. Over the last few years she has been a speaker on influential platforms such as TEDx, CII and at BITS Pilani amongst others, where she delivers motivational talks and speaks about women, leadership, gender, diversity and inclusion issues. Join us for a factory visit to Kokuyo Camlin Limited, a merger of the Indian legacy of trust with Japanese innovation. It is the biggest plant of Kokuyo Camlin Group, the pioneers and leading manufacturer of wide range of stationery and colour material as well as art material and was inaugurated by Hon’ble Chief Minister of Maharashtra, Shri Devendra Fadnavis in April 2017. Learn how this 'green' factory plant has incorporated eco-friendly systems. Witness it's progressive attitude towards women empowerment by having 75% employees as women only. Get ready for a fun filled day with an educative tour followed by a creative interactive session and mouth-watering local cuisine. Registration on a first come first served basis before 21st Dec, 2018. An investment wizard… the king of bull market… legendary investor with a Midas touch… Mr. Rakesh Jhunjhunwala, needs no introduction. He is often referred to as India's Warren Buffett. Such is the credibility of Mr. Rakesh Jhunjhunwala that investors swear by his "look before you leap" philosophy. Let's shed some light on the remarkable success story of the big bull of Dalal Street. Mr. Jhunjhunwala's holdings are the perfect ambassador of his belief in long-term investment and value investing. He has invested mostly in small cap and mid cap stocks that has grown into large cap stocks giving him multi-bagger returns. His portfolio comprises of small cap and mid-cap stocks which over a period of time have become large cap stocks. His genius lies in unearthing at very early stage of their growth cycle. He is the true icon and sheer inspiration for stock market investors. Don’t miss… Mr. Rakesh Jhunjhunwala in with conversation Ms. Radhika Haribhakti to know about his journey of being India most successful equity investor. IMC Ladies' Wing invites you for the screening of the Gujarati film - Bey Yaar (with English subtitles). Bey Yaar is a Gujarati film set in urban surroundings, directed by Abhishek Jain. The film stars Manoj Joshi, Darshan Jariwala, Divyang Thakkar, Pratik Gandhi, Amit Mistry, Samvedna Suwalka. It follows the story of two close friends, who in a bid to earn quick bucks, end up sacrificing their morals and their dignity. And instead of gaining the rewards they hoped for, they only end up losing what they held dear. Can they now set things right and at the same time, keep their friendship intact? The film was screened at New York Indian Film Festival, the first ever Gujarati film to be so honoured. Our Homes are the backdrop to the stage of our lives, a reflection of what we love, what we believe and who we are. And it is through the power of Design that we can transform any space in our Homes and even reconnect at a deeper level and rediscover who we really are. Making a few changes within our capacity, thinking of what can be done ‘within the box’ are ways to simply have fun while breaking myths and some rules along the way. Learn the Art of Table Styling with a personal touch for the festive season at the furniture store Tranceforme with Ms. Jasmine Jhaveri. Different styles for different occasions, table setting is your high point when it comes to entertaining. The inspiration behind Tranceforme is classical singer Purvi Parikh, who brings her unique sensibility to the space since the store’s inception in 2000. The talk will broadly cover the basic principles of design and encourage the audience to re-form their space and to deconstruct the design process and apply it little by little in all spheres of life. These are some of the common but most difficult situations one faces in one’s life. And when the situation arises, one does not know where to turn to understand what one’s rights are and how to enforce them. Get firsthand knowledge from two eminent advocates of Bombay High Court, Mr. Nusrat Shah and Ms. Manjiri Shah as they address you on these issues. This will be followed by an interactive session when they will answer your queries on these difficult subjects. Mr. Nusrat Shah and Ms. Manjiri Shah are successful lawyers with several years of experience who have desire to see a change in outlook and mindset of people. Join us in this session for an eventful afternoon from which you will leave wiser and enlightened!! We live in a world where memories are short and attention spans even shorter. Whoever you are, whichever company or industry you work in, whatever your designation, there is only one way to stand out - Create your own brand. IMC Ladies’ Wing invites you for an engaging session on Personal Branding. We're not talking about your name or your designation or your organisation. We're talking about what makes you, YOU! And, what would make you matter to the people you want to attract. If you were a website, would you be bookmarked? Ms. Lulu Raghavan, Managing Director of Landor Mumbai will guide you to know more about personal branding and recommend ideas and tools for building your own brand using the tried and tested principles of branding and design. Ms. Raghavan has been working at Landor for seventeen and a half years. She has worked at Landor’s San Francisco, New York and London offices in various roles including naming manager, brand strategist, corporate strategist and client director before setting up Landor in Mumbai and then heading the business. She was named one of India’s 50 most influential women in media, marketing and advertising in 2015 by IMPACT Magazine. 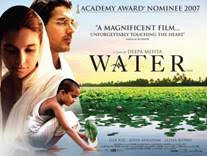 Water is a 2005 Indo-Canadian film written and directed by Deepa Mehta, with screenplay by Anurag Kashyap. Set in British occupied India of 1938, the film is as beautiful as it is harrowing, its idyllic setting besides the sacred Ganges River contrasting with the widows' oppressive existence as outcasts. It explores the lives of widows at an ashram in Varanasi, India and their diminished position in society. Some of the widows were very young as child marriages were common practice in those days. The film has a cast of renowned actors - Seema Biswas, Lisa Ray, John Abraham, Sarala Kariyawasam, Kulbhushan Kharbanda, Waheeda Rehman, Raghuvir Yadav, and Vinay Pathak. Travelling helps one to discover new cultures and get to know new people! The experiences enrich one’s life and make them happier. Ladies’ Wing invites you for the Travel Fest to showcase tourist attractions of three unique countries which will fascinate you with their culture, cuisine and natural beauty. The representatives from countries – Ethiopia, Spain and Thailand will be showcasing their culture through entertainment programmes, food and a presentation of best places to visit in their countries to help you decide which should be your next stop for a perfect holiday. You will also get an opportunity to interact with consulate representatives of these countries personally. Block your date!!! Enjoy a fun afternoon!!! The 2 days stay at the luxurious boutique Hotel Deltin Palms Riverfront will be filled with discreet, thought provoking and interactive movie screenings, intellectual discussions, sightseeing and much more. Trip limited to 25 members only on first come, first served basis. The registration will only be confirmed post the full payment of trip charges. Register soon. Indian classical dances have a distinct character that reflects the great culture and tradition of our country. The different forms of Indian dance have originated in different states of India but with time they have traveled far beyond the borders of the originating state to all parts of of our country and even beyond, being acclaimed and recognised all over the world. Dance is a highly developed art which needs immense discipline and years of training. Many people have adopted various forms of dance as their profession and have earned great fame in their chosen field. Exponents of Indian classical dance believe that it has the capability to help the overall development of mind and body which culminates in a healthy and disciplined lifestyle. The Indian Classical Dance is often regarded as a form of worship and meditation. On the occasion of Navaratri, we invite you to witness lecture demonstrations by eminent gurus of three major dance forms – Odissi, Bharatanatyam and Kathak. Ms Jhelum Paranjape will speak of dance in general and Odissi in particular and explain and demonstrate along with her students how our body, through different movements and expressions can portray almost anything. Ms Sharada Ganesan will talk about the origin of, spiritual element, technique and training involved in Bharatanatyam and the evolution of the dance into stage art and will demonstrate extracts from certain pieces of the dance form along with her daughter Nandini. Ms. Gargi Shah and students will show you how the space around the dancer is used to create patterns and will also perform a Krishna bhajan in Kathak style. So let us together celebrate the joy of Navratri with some graceful demonstrations of our very own classical dances! Members interested in attending the event, kindly register at the IMC Ladies' Wing Office at the earliest. 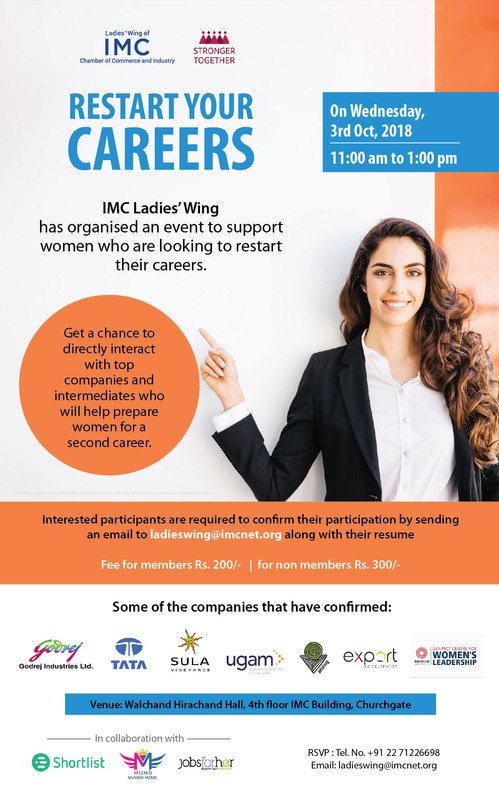 RSVP: Mr. Kishor Kothekar - +91 22 71226698 or email us at ladieswing@imcnet.org. Traditionally women have been discouraged from being ambitious, from becoming achievers and super achievers. Even if their own families have not held them back, there may have arisen situations in society or at workplaces which deterred women from seeking a seat at the table. What stopped them? It was the proverbial glass ceiling! It was coined as a phrase in the 1980’s to signify an invisible barrier faced by women from all walks of life in getting onto the topmost levels of management. 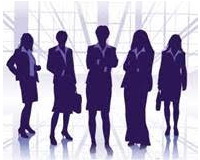 Deserving well qualified women are even today denied the opportunity to reach the highest positions in their careers. They are told that they have to earn a seat at the table, which many men can achieve, simply because they are men. What is even more tough for women is that once women break through the glass ceiling and take on positions of leadership they are more likely to occupy positions that are precarious and thus have a higher risk of failure as they are not given the resources and support needed for success. And then after a woman despite all odds earns her seat at the table, what kind of a voice does she have at that table? Are millennials achieving what their mothers and grandmothers only dreamt of? Or never even dreamt of? Justice Gautam Patel, Hon’ble Judge, Bombay High Court, will answer all these questions and more while addressing us on “Cracking the Glass Ceiling” with his unmatched wit, felicity of expression and passion for the cause! Join us in this session for an eventful afternoon which promises to be anything but sedate!! Members : Ms. Bhavana Trivedi, Ms. Nishiki Bhavnani, Ms. Kalpana Unadkat, Ms. Kavita Chandan, Ms. Poorvi Chothani, Ms. Renu Parekh, Ms. Reshma Kongorpally. Many deaths occur dues to sudden cardiac arrest at home, work, or in a public location, because the concerned person does not receive immediate and effective Hands CPR (Cardio Pulmonary Resuscitation) from someone on the scene. Any person with training and experience of Hands CPR can save a life. Hands CPR is an easy to learn lifesaving technique which gives a person suffering a cardiac arrest an increased chance of survival till professional help reaches and in some cases, by itself, helps in reviving and stabilizing patients. The Dr. B. K. Goyal Heart Foundation is dedicated to help prevent untimely death due to sudden cardiac arrest. This Foundation conducts Hands CPR workshops to bring awareness and to teach the general public the simple skills of Hands CPR. The workshop’s aim is to help those attending the session understand the technique of Hands CPR and the preliminary steps to be taken when a person suffers a cardiac arrest. Cyber Crime is considered one the most dangerous threats to business which has emerged with the rise in use of the internet and information technology; it has a serious impact on many aspects of the growth of industry. In the fight against cybercrime, prevention is the most critical aspect. A proper security measure is the best defense against cybercrime. Every single user of technology and businesses in particular, must be made aware of the risks of exposure to cyber threats, and should be educated about the best practices to adopt in order to reduce their “attack surface” and mitigate the risks. IMC Ladies’ Wing invites you for an interactive session on Cyber Crime at the work place and its preventive measures with Mr. Bijesh Singh, Special Inspector General of Police, (Cyber Crime) of Maharashtra State Police Department. Mr. Brijesh Singh who heads the Cyber Security Department of Maharashtra State, is an elite Indian Police Service Officer with prior stint as Special Inspector General of Police in Criminal -Investigation. He successfully implemented Crime Criminal Tracking and Networking Systems (CCTNS) project in Maharashtra State. Mr. Singh is also the designated Special Inspector General of Police - Women Atrocity Prevention, a special authority created by the Maharashtra government. Members interested in attending the event, kindly pay and register at the IMC Ladies' Wing Office at the earliest. Directed by Tabrez Noorani and produced by David Womark, it is a hard hitting powerful film that takes one through the gritty journey ; a story of hope and courage of a 17 year old whose struggle takes her across India, Hong Kong and Los Angeles to rescue her sister from the nexus that runs horrific human trafficking across continents. The film has already won hearts at screenings in London and Melbourne. It has a strong ensemble cast starring Manoj Bajpayee, Richa Chadha, Rajkummar Rao, Sai Tamhankar, Adil Hussain, Anupam Kher, Demi Moore, Mark Duplass with Freida Pinto and introducing Mrunal Thakur and Riya Sisodiya. The screening will be graced by Director – Mr. Tabrez Noorani, Executive Producer – Ms. Shalini Thackeray, Co – Producer – Mr. Amar Butala and the actors – Ms. Mrunal Thakur and Ms. Riya Sisodiya. Event conceptualized and curated by Ms. Aarti Gupta Surendranath. Venue: Babubhai Chinai Committee Room, 2nd Floor, IMC Bldg, IMC Marg, Churchgate, Mumbai, 400020. Maharashtra has been the Leader on industrial front of India. It has always been the endeavour to develop sustaining industrial growth, facilitate speedier flow of investment by creating conductive industrial climate in the State. Maharashtra has developed a solid base of industrial infrastructure, strong Human Resources, and sustaining and divers industrial base. This was possible because Maharashtra pioneered several policy initiatives, since inception, in diverse fields. One of the policies framed by the Government of Maharashtra is the Industrial Policy for Women Entrepreneurs. Government of Maharashtra and IMC Chamber of Commerce and Industry decided to work together for the benefit of industries in the state and to disseminate information of Government Industrial policies to the stakeholders including women entrepreneurs’. As a part of this initiative, we will be organizing regular meetings between Ministry of Industries and Mining, Government of Maharashtra and IMC Members. 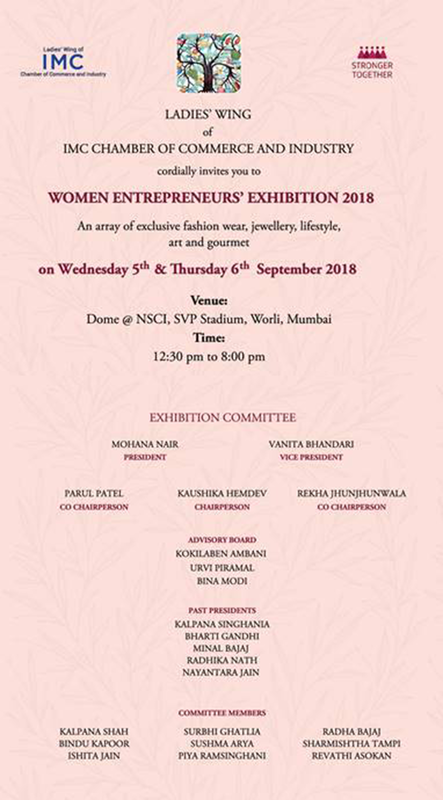 Shri Subhash Desai, Honorable Minister of Industries and Mining, Government of Maharashtra will address with some valuable insights into the utilization of the various initiatives launched by the Government of Maharashtra and in particular the incentives offered to women entrepreneurs’. This would create awareness about various policies which are beneficial for the sector and which may lead to increase in employment and attract huge investment for women entrepreneurs’. Given below is the link to download policies formulated by Ministry for promotion of Industry and Entrepreneurship in the State. We cordially invite you to attend this address. Please confirm your attendance at the earliest to make requisite arrangements. Kindly note there is no participation fee. However, registration is mandatory. We will appreciate a line in confirmation of your attendance by e-mail to Mr Nitin Bhapkar, IMC at nitin.bhapkar@imcnet.org at the earliest. We are all aware of our fundamental rights as citizens of our country. But are you aware of your rights as a patient? Do you know what are the responsibilities of a doctor / hospital? IMC Ladies’ Wing invites you to learn about the Rights of patients and responsibilities of doctors / hospitals from well-known surgeon and Medico Legal Consultant Dr. Vivek Tilwani and well known gynaecologist and Professor Dr. Kavita Tilwani. They will address various topics like laws relating to ventilator, right to change hospital or doctor mid – treatment and to take second opinion, action which can be taken against negligence by doctor or hospital staff, confidentiality of a patient, their disease and treatment, formalities during discharge, laws related to abortion and much more. Venue: Walchand Hirachand Hall, 4th floor, IMC Building, Churchgate. Blogging about your passion is a great way to express your thoughts and opinions and seek out people with similar interests. It gets even better when you can monetise those passions when the people you connect with acknowledge you as an expert. 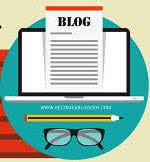 Blogging is not just about writing; it is a complete business that involves in-depth understanding of a topic, digital marketing, and sales. IMC Ladies’ Wing invites you to the panel discussion on “The New Age Influencers and the Business of Social Media" wherein famous Indian bloggers will share their success stories, personal experience and insights on how they have made a mark in the domain of social media and how one can explore blogging as a full-time career option. The panel will be moderated by eminent blogger Riaan Goerge of Urban Eye. Every year we celebrate Ganesha festival with pomp and grandeur as we look forward to usher in prosperity, health and happiness. But our joy comes with a heavy toll on the environment. The materials used widely for the creation of Ganesha idols create havoc in the environment as they are extremely hazardous and affect the balance in the ecosystem. The day after the immersion portrays a gloomy picture with the remnants of the idols scattered all over the sea shore, which raises questions about whether this is really how faith in God is depicted. Green Ganesha workshop is an initiative to create awareness and stop this environmental pollution. This also provides joy and satisfaction of being able to create your very own Ganesha, and that too from eco-friendly shadu clay. This workshop also acts as a stress buster. The workshop will be conducted by Parisar Asha, Centre for educational research and training. They are committed to serving India’s multi-cultural diversity of human communities through an environment–related learning system. Duration: 2 hours (Demonstration and individual idol making experience for every participant. Material for the workshop will be provided. Each participant will be taking their individual Ganpati (approx 6-8” height) home). Limited to 35 seats. Members interested in participating in the workshop are requested to register at the IMC Ladies' Wing Office at the earliest. Payment in advance is required to confirm participation. Last date for registration – Tuesday, 14th August, 2018. IMC Ladies' Wing invites you for the play - Paanchvaali, a monologue performance that explores classic text Mahabharata and its relevance in contemporary times. Written and directed by Abhinav Grover and performed by Vaishnavi Ratna Prashant, Paanchvaali is Draupadi's candid conversation with goddess Agni, where she speaks about the men in her life and how she feels that all the relationships are incomplete in some way or the other. It will be followed by an interactive session with the director and the actor of the play. Members interested in watching the play, kindly pay and register at the IMC Ladies' Wing Office at the earliest. IMC Ladies’ Wing is pleased to announce opening of nominations for the 26th IMC Ladies’ Wing Jankidevi Bajaj Puraskar – 2018 to felicitate and acknowledge the contribution of an Indian Woman Entrepreneur who has contributed in the field of rural business and entrepreneurial development. The Puraskar comprises of a cash award of Rs. 7, 00,000/- a citation and a certificate. The Puraskar presentation function is scheduled in the second week of January 2019 in Mumbai. Make a difference to encourage rural business entrepreneurship among women. We look forward to your support and encouragement to the cause of women and rural empowerment. Witness the exhilarating Khajuraho Dance Festival which celebrates our cultural heritage set against the spectacular backdrop of the beautifully lit and carved temples of the ancient dynasty. Enjoy a jungle safari at Panna National Park, home to the highly successful Tiger relocation project situated in the Vindhyan mountain range. On Cancellation 50% will be refunded up till 1st December, 2018 and thereafter no amount will be refunded. 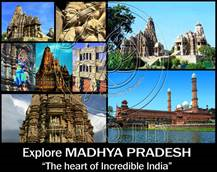 The trip cost is inclusive of stay, meals, land transportations and sightseeing. Many women prefer to get into salaried jobs, preferring the steady working hours, income and perks like health insurance and paid leaves. Entrepreneurship is still perceived as a riskier option, requiring longer work hours and lacking a fixed income every month. Women Entrepreneurs can not only contribute to the GDP, but can also play a key role in addressing societal challenges. Women entrepreneurs have to find a balance economically and financially, both on the home front and in their career. Women play a very important and vital role in every aspect of life and therefore it is imperative that they be helped to attain a balance between work, personal life, family life and social life. IMC Ladies’ Wing invites you to the panel discussion on the multifaceted role of today’s Women Entrepreneurs who will share their personal experience and insights and how they have made a mark in their industries. The panel will be moderated by renowned journalist and writer Ms. Devna Gandhi. Art, by its nature, asks questions and holds meaning. It explains ideas, uncovers truths, manifests what is beautiful, and tells stories. You will find answers to - What is art? Why is it important? Why do people collect it? And gain insights into how art is valued along with guidelines on caring for your art collection. The talk will be conducted by Ms. Akanksha Nemani founder of Artlinks - a boutique art appreciation and advisory firm with an endeavour to help art enthusiasts develop an aesthetic eye for the arts, understand the growing interest in art as a collectible and enable them to build and manage their art collections. Through this interactive talk we will explore the life and works of various famous western artists and art movements and how they influenced the work of Indian masters. Shubho Mahurat is an Indian Bengali detective mystery film directed by Rituparno Ghosh. The film is based on Agatha Christie's Miss Marple detective story The Mirror Crack'd from Side to Side. The film`s story is set during the shooting of the film. On the Shubho Mahurat, the prospective actress of the film dies in mysterious circumstances. While resolving the mystery, outcome many facets involved in the murder which reveal the true identity of the murderer. The movie stars veteran actors - Sharmila Tagore, Raakhee, Nandita Das, Tota Roy Chowdhury, Sumanta Mukherjee and Anindya Chatterjee. The movie has won National Film Award for Best Feature Film in Bengali and National Film Award for Best Supporting Actress. Many strides have been made in the past few years by legislation relating to women in India. 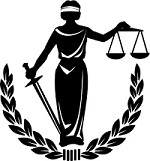 Recent amendments to the Indian Penal Code, the POCSO Act (Protection of Children from Sexual Offences Act, 2012), the introduction of law on the Prevention of Sexual Harassment of Women at the Workplace, the Domestic Violence Act, and many other legal provisions have sharply brought women centric issues to the fore. Much as these provisions aim to protect, there has also been an unfortunate unsavoury trend of misuse of these very laws leaving the field open for debate as to their actual efficacy. IMC Ladies’ Wing invites you for the event, Women and Criminal Law, an interactive session with a sitting judge of the Bombay High Court Hon’ble Justice Revati Mohite Dere to explore and learn these facets of law impacting each one of us. The King's Speech is a richly enjoyable, instantly absorbing true-life drama, based on King George VI. It is an inspirational tale of one man’s quest to find his voice. Following the scandalous abdication of King Edward VIII, Bertie who has suffered from a debilitating speech impediment all his life, is suddenly crowned King George VI of the United Kingdom. With his country on the brink of war and in desperate need of a leader, his wife Elizabeth seeks out the help of eccentric speech therapist, Lionel Logue. Written by David Seidler and directed by Tom Hooper, it stars Colin Firth, Helena Bonham Carter and Geoffrey Rush in lead roles. The movie has won seven British Academy Film Awards and four Academy Awards. Ensuring women’s equality in work and society is a social imperative that represents one of the most sizable economic opportunities for the world. A powerful engine of global growth, pursuing the goal of gender parity can lift many women out of poverty, unleash the economic potential of many others, and reinforce a region’s dynamic growth story. McKinsey & Company has been researching, publishing, and helping shape action on gender diversity for more than a decade. 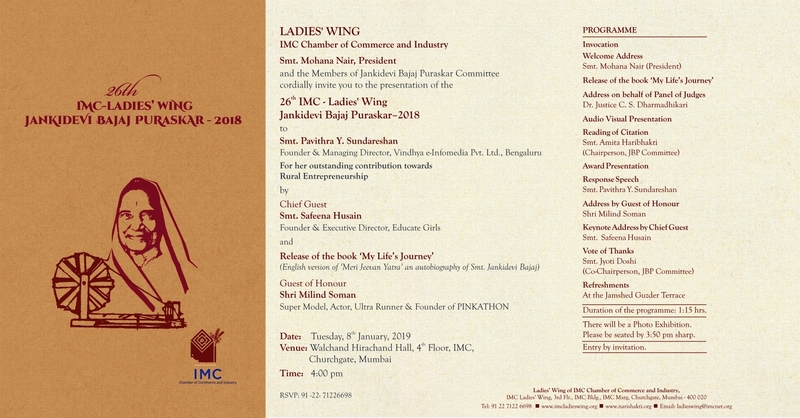 At this event IMC Ladies’ Wing will be releasing their report on Advancing Women’s equality in Asia Pacific and in particular the India Chapter. They will present highlights from their new research on how India fares on gender parity compared to other countries in the Asia-Pacific region, and what are the big opportunities to improve. Mr. Nadir Godrej, Managing Director of Godrej Industries, is our keynote speaker. His address will be followed by a panel discussion featuring Ms. Gunjan Soni, CMO, Myntra, Ms. Pavithra YS, Co-Founder of Vindhya E Infomedia - a BPO for the differently abled, and Mr. Vivek Pandit, senior partner, McKinsey. Their conversation will focus on what business and society can do to improve gender equality. Join us to know about the personal experience of and thoughts of prominent personalities about ‘what holds women back and how that can change’.